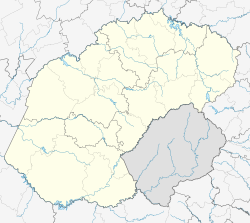 Whites is a settlement in Lejweleputswa District Municipality in the Free State province of South Africa. 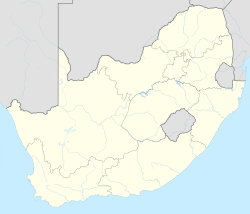 Located near Hennenman, the settlement was the site of a cement factory of the Whites South Africa Cement Company dating back to 1913. The company is now owned by Lafarge as part of its South African division. ^ a b c d "Main Place Whites". Census 2011. ^ John Brett Cohen (1984). Industrial South Africa: the great achievement. Industrial Pub. Corp. p. 73. ISBN 978-0-620-06596-2. ^ "Lafarge Lichtenburg Cement Works" (PDF). Lafarge. Retrieved 29 August 2014. This page was last edited on 25 March 2019, at 20:09 (UTC).